The Gem State is not exactly a bastion of gambling, with only 10 tribal casinos peppered throughout the state. However, even though the state has not yet formally approved legal Idaho sports betting in the wake of the Supreme Court overturn of the Professional and Amateur Sports Protection Act (PASPA, 1992), it is still possible to enjoy a full, robust menu of sports betting if you live within ID borders. Now, the line between legal and illegal sports wagering in Idaho isn’t as clear as it is in most states. On the surface, it would seem that the Constitution of Idaho has banned all forms of gambling except for its own state lottery, pari-mutuel horse racing betting, and charitable bingo and raffles. Further, the law appears to explicitly ban sports betting. However, this is misleading, and you will learn why by reading on. That said, the short version is simply: While sports wagering might be nominally illegal in Idaho, it is only illegal from an operational standpoint. As a bettor and not a bookie, you are able to access and freely use any (and all) of the top legal sports betting sites available on the Internet. These books, based overseas and outside of both Oregon and US legal jurisdictions, are safe to use for legal sports wagering. Sites like Bovada, SportsBetting, BetOnline, 5Dimes, BookMaker, and BetDSI have been serving ID residents for decades, and nobody has ever experienced any legal headaches just for pursuing their sports betting pastime. Is Land-Based Sports Betting Legal In Idaho? No. Currently, land-based sports betting is not legal in Idaho. While the state has several Class III tribal casinos, none of them has been able to use their gaming statuses to install sports betting. While the Indian Gaming Regulatory Act, in defining the classes of tribal gaming, outlines circumstances where tribes could offer their own sports betting product to the public, the fact that sports betting is named in the Idaho Statutes as barred from operation precludes the tribes from offering it. (In New Mexico, for example, the tribes can offer the pastime because state law does not ban bookmaking outright.) Nevertheless, land-based legal Idaho sports betting is a sure thing to come to the state in the near future, and legislators are working on that as we speak. Is It Illegal To Bet On Sports Online In Idaho? Yes. There is a big sports betting section in the Idaho Statutes, but a close reading shows that it is definitely not illegal to bet on sports online in Idaho. Only bookmakers are banned from offering odds and accepting bets in the state. Remember, ID only has jurisdiction over what goes on within its borders, and the federal government only has control on what happens within US borders between states. As all of the top online Idaho sportsbooks operate from overseas, they exist entirely outside of the purview of American law. And since you, as an individual bettor, are free to place wagers, you are free and clear to use these books to your bankroll’s content. Is There Anywhere In Idaho That I Can I Bet On Sports? On land, there isn’t anywhere in Idaho that you can bet on sports. While the state is considering how to move forward with the legalization of sports wagering, there is currently nowhere within ID borders that allows the practice. That said, you can participate in genuine, legal Idaho sports betting by simply visiting an offshore sports betting site like Bovada, SportsBetting, and the like. These books operate outside of ID and US jurisdiction, and they are reputable, customer-service-oriented, and safe to use. All you need is a computer, smartphone, or tablet, and an Internet connection. Signing up is fast and free, and you’ll be able to wager on just about any sporting action you can imagine, worldwide! If you’d still rather bet on sports in a brick-and-mortar venue, or if you simply want sports wagering to be a part of your next resort vacation, you can certainly make the trip south into Nevada and wager on just about everything at any of their numerous world-class casinos. The nearest Nevada cities to Idaho that offer sports betting are shown below (in order of geographical proximity). Just make sure you factor in the expense of your trip – and if sports wagering is all you’re after, remember that using an online, offshore book is far less expensive a proposition. The Idaho sports betting and gambling laws are quite clearly defined. The Constitution of Idaho (Article III, Section 20, “GAMBLING PROHIBITED”) defines what forms of gambling are and are not allowed in the state. Basically, all forms of gambling are unlawful except for the state lottery, pari-mutuel horse racing betting, and bingo/raffle games hosted by charitable organizations. Further, all casino card games and electronic gaming machines are also prohibited. However, as to the question of sports betting, Idaho merely bars sportsbook operators from functioning in the state. In Title 18, Chapter 38 of the Idaho Statutes (“BOOKMAKING AND POOL SELLING”), “any person who for gain, hire, or profit engages in pool selling or bookmaking…is guilty of a misdemeanor,” for which the penalties are a maximum fine of $1000 and/or a 6-month stint in the clink. However, there is no law that bars individuals from placing sports wagers with any entity, meaning that you remain free to enjoy legal Idaho sports betting websites (Bovada et al.). Idaho isn’t known for its local sports teams, outside of a few prominent NCAA programs. However, that doesn’t mean that there aren’t rabid fans of teams in all major leagues in ID, as there certainly are. Further, it is estimated that over 200,000 ID residents regularly wager on sports. The following local and nearby teams are generally the most popular clubs when it comes to ID fandom and sports betting. Horse racing betting in Idaho is legal, as are off-track betting (OTB) services and simulcast wagering. That said, there are currently no active permanent racetracks in Idaho, as the last remaining venue, Les Bois Park, formally shuttered their entire operation in 2018. Whether or not the racetrack reopens in the future remains to be seen. Despite the lack of a permanent venue, however, Idaho’s various fairgrounds sometimes host horse races for a few days each year, though these schedules and events are not held with any regularity. In 2016, Idaho Attorney General Lawrence Wasden sent out a press release declaring that – despite any laws about the activity actually on the books – daily fantasy sports in Idaho constitutes illegal gambling and is prohibited in the state. Thus, all the leading DFS providers have block Idaho residents from signing up and playing. Nevertheless, if you’re a fan of fantasy, don’t despair: DraftKings and FanDuel are engaged in lobbying efforts to bring DFS to the state ASAP. Can I Bet Real Money On Sports In Idaho? Yes, you can bet real money on sports in Idaho, as there are no prohibitions that actually bar individuals from placing bets in the state. However, to be safe, it is only advised that you use reputable offshore sportsbooks like Bovada, BetOnline, SportsBetting, BetDSI, 5Dimes, and BookMaker to do so, at least until the ID legislature formally allows in-state, land-based bookies to operate. Is Online Sports Betting Safe In Idaho? 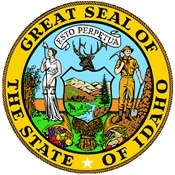 Provided you use one of the aforementioned offshore sportsbook sites, online sports betting is 100% safe in Idaho. No ID resident has ever been arrested or otherwise legally troubled for wagering on athletics over the Internet in the Spud State, and nobody ever will. However, if you try to operate a sportsbook of your own in the state, you will surely come under legal scrutiny, as that activity is explicitly against Idaho law. As long as you’re just a bettor and not a bookie, legal Idaho sports betting over the Internet is safe, secure, and a guaranteed good time. Will Sports Betting In Idaho Ever Be Legal? Sports betting will almost certainly be legal in Idaho eventually. While there are some commercial/tribal kinks to work out, the potential revenue windfalls for the state coffers and local economies in ID are too great to ignore. Still, it will likely take Idaho a while (compared to most other states) to get legal sports wagering off the ground. In the meantime, of course, it remains legal to patronize offshore sportsbooks. Will I Get Arrested For Sports Betting In Idaho? No, you will not be arrested for sports betting in Idaho, as it is not illegal to place wagers within the state. The state law clearly makes bookmaking unlawful, but as long as you are simply betting and not actually running a black-market bookmaking service, there is no risk that you will ever be cited, fined, arrested, or otherwise inconvenienced by local law enforcement just for enjoying the sports betting pastime. What Is the Sports Betting Age In Idaho? Technically speaking, there is no minimum legal sports betting age in Idaho, as the activity is not offered at land-based or local Internet-based venues. That said, the gambling age in Idaho is 18 for all tribal and horseracing facilities (as well as for the lottery), and the minimum age to sign up at any top online sportsbook is also just 18. Note: Never sign up at an offshore sportsbook underage. Doing so will cause your account to be permanently suspended and all associated funds to be forfeited. Are There Mobile Sports Betting Apps Available In Idaho? There are no mobile sports betting apps available in Idaho, as the Apple App Store and Google Play store don’t allow offshore sportsbooks to offer commercial products in the American market. However, there’s no need to download any apps to enjoy mobile sports betting in Idaho, as all the top sites offer slick, streamlined mobile portals for all of their gambling services. All you need for a robust mobile betting experience is an iPhone, Android device, iPad, or other tablet and an Internet connection (cellular, Wi-Fi, etc.). Mobile Idaho sports betting even supports live betting! Where Is The Best Place To Bet On Sports In Idaho? The best place – and only place, for the time being – to bet on sports in Idaho is wherever you are, right this second! Since wagering online at overseas sports betting sites is your only option for legal Idaho sports betting, if you’re reading this, you’ve already got a computer or mobile device and an Internet connection. Simply head over to one of our recommended books, sign up, make a deposit, and start betting! Should I Use A Local Bookie In Idaho? No, you should absolutely not use a local bookie in Idaho. While it is not illegal for you to do so, it is definitely illegal for the bookie to offer his or her services to you. You thus run the risk of getting caught up in a police dragnet, mob-related drama, or – at the very least – an unscrupulous bookie who doesn’t pay out when you win or skips town with your cash, leaving you with no recourse whatsoever. Why take such a big risk to participate in less convenient wagering? Stick to the Internet for you ID sports wagering needs. Do Any Casinos In Idaho Have Sports Betting? There are no casinos in Idaho that have sports betting at this time. Given that the only legal casinos in the state are of the tribal variety, there is some question as to the exact path to sports betting legalization the state must follow. Regardless, it will take some time to work out any agreements with the tribes re sports betting, and this represents the largest legislative hurdle facing the state. Eventually, these casinos will likely have sports betting lounges, though only time will tell. Is It Legal To Bet On Sports With My Friends In Idaho? Arguably, it is not legal to bet on sports with your friends in Idaho, at least on a very technical, semantic level. The Idaho Statutes pretty much bar all gambling activity, even that which takes place on private property. Of course, the counterargument is that by law, this only appears to apply to “gambling,” which – also by law – is not the same thing as sports betting. Either way, the point is moot, as this law is unenforced socially, meaning that if you aren’t running an actual underground sportsbook or casino, you will not get into any trouble for wagering on sporting events with your friends.